Does your turbo vendor have the necessary knowledge and experience to successfully rebuild and/or upgrade your turbocharger? Does your vendor have the specialty tools, machine shop and balancing equipment necessary to successfully rebuild/upgrade your turbocharger? Does your vendor have the necessary inventory on hand (i.e., turbocharger components, repair kits, oversize bearings and seals, upgrade performance parts, etc.) to complete your rebuild and upgrade in a timely fashion? Does your vendor provide knowledgeable customer service after your rebuild/upgrade is complete to answer any questions or concerns you may have? ​Blouch Performance Turbo has over 35 years of turbocharger rebuilding and upgrade experience. We have witnessed the evolution of many popular turbo models including the Garrett T2/T3/T4, Mitsubishi TD04/05 and the IHI RHB5/RHF5 series. In fact, Blouch Turbo has been rebuilding and upgrading turbochargers before the start and development of many of the popular turbocharger companies today and, at times, has played an important role in that development. And while turbo models have changed from 1980 to present, the fundamentals of successful turbo rebuilding have not. Careful disassembly, proper cleaning methods, careful measurement, precision machine shop work/balancing, and great attention to detail during final assembly all play a critical role in successful turbocharger rebuilding and upgrading. 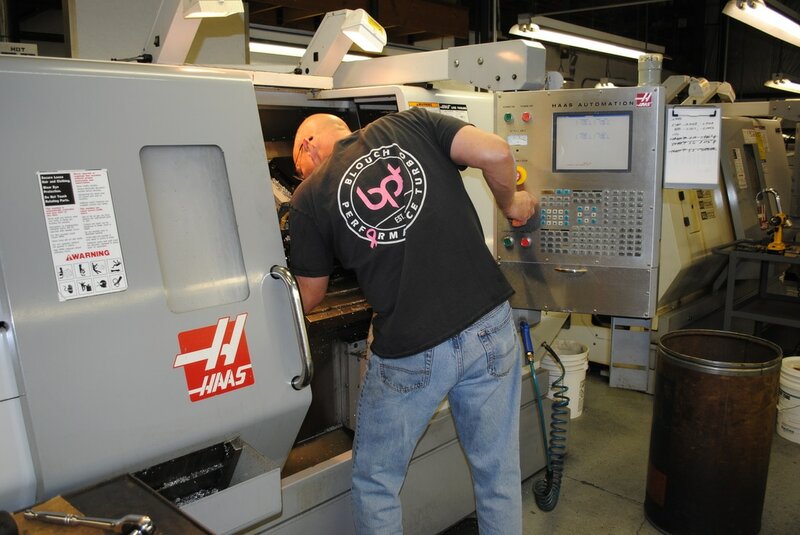 At Blouch Performance Turbo, we have spent the last 35 years purchasing and developing machine shop equipment and tools geared specifically toward turbocharger rebuilding and upgrade. From grinding shaft journals while maintaining exacting concentricity to machining upgrade contours in compressor and turbine housings with precision and efficiency that our competitors only dream about, Blouch Performance Turbo has invested significant resources to make our job easier and provide you, our customer, with the highest quality product and best possible turnaround times. Blouch Performance Turbo has an extensive inventory of replacement turbocharger component parts, repair kits, oversize maintenance pieces and upgrade performance parts to rebuild and upgrade your turbocharger for your specific application. 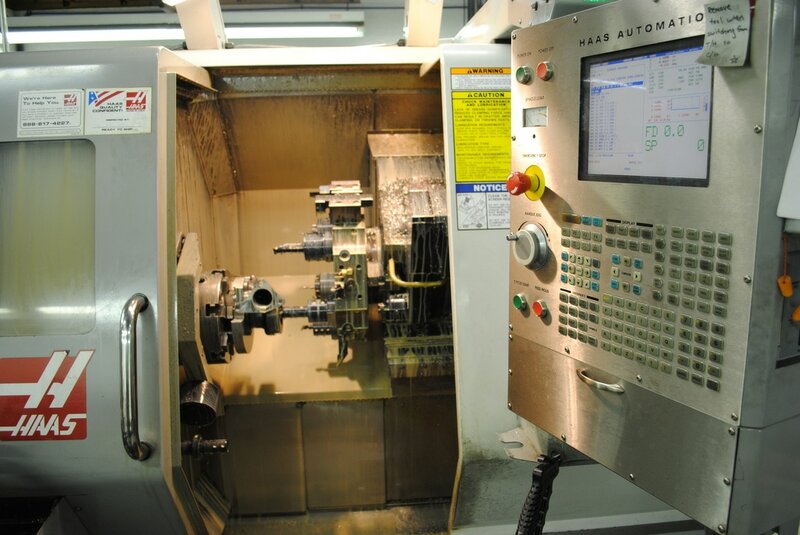 Extreme duty thrust bearing upgrades for popular Garrett and Mitsubishi frame sizes – no problem! Need a custom upgrade actuator with a specific operating pressure, mounting configuration and rod bend? Let Blouch Turbo provide options from our actuator inventory. Looking to create a unique custom performance hybrid? Now you’re talking! 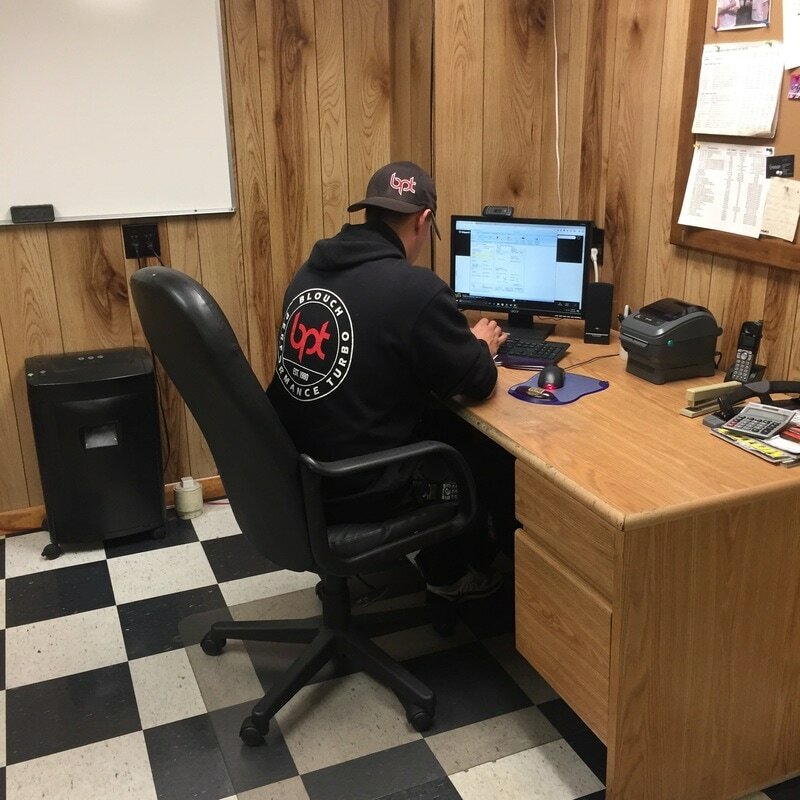 In addition to making our job easier, this extensive inventory also serves to reduce priority freight costs and minimize rebuild and upgrade turnaround times. Even the very best rebuild and upgrade can turn into a complete nightmare if the installation surrounding the turbo is not configured properly. For example, one customer who recently received a Blouch Performance Turbo rebuild and upgrade called with this concern: “You recently rebuilt and upgraded my turbo and now it is leaking oil out of the turbine end. What are you going to do about it?” The very first answer to that question is NOT “Send the turbo back and we will look at it”. The answer to that question is “Tell me about your oil drain system, crankcase ventilation system and the general health of your engine”. As it turns out, this turbo was installed on a Suzuki Hayabusa and the only thing the customer had changed was the length of the kickstand. Irrelevant? No way! The length of the kickstand greatly affected the angle of the oil drain tube to the point that the oil had to drain uphill when the engine was run on the short kickstand. Without knowledgeable customer service, the time and money spent on this turbo rebuild and upgrade would have been wasted. BPT has the knowledgeable customer service you are looking for!